You’ve surely heard the term “Curb Appeal.” You want to make a wonderful first impression if you’re selling your property, as it is critical in inspiring people to notice your home’s potential. What’s on the inside may be important, but like books, homes are typically judged by their covers first. 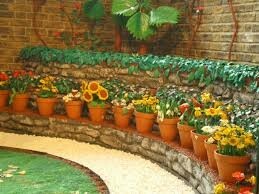 You don’t need to have a green thumb to make some simple changes to your yard which will delight your potential buyers. Place seasonal flowers in decorative planter pots by the front door, or flower beds in the front yard to add brightness to the home. Your local nursery can assist you with selection, and many have planter pots already created which you can purchase if time is of concern. 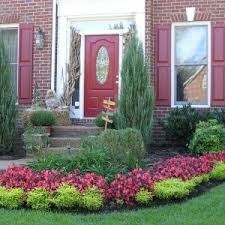 If you already have flower beds, brighten them up with a fresh layer of mulch. Create a lower maintenance environment with native plants which thrive in your area and climate. 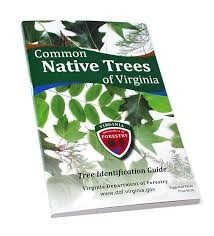 You can visit www.nwf.org/NativePlantFinder/Plants to find out which plants do best in your region. With so many solar options, it’s easy to add a pleasant glow. Mix battery operated candles in with flowers on your porch for an elegant display. 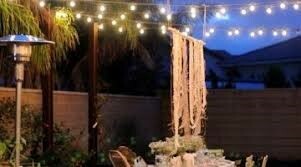 Hang string lights over the patio or deck. Add some tiki torches around the perimeter of the patio. 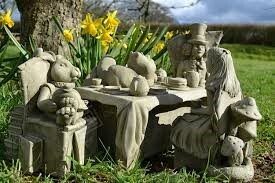 Fountains, benches, statues and garden art create interest and a sense of luxury and/or whimsy. Consider a raised bed in a portion of the yard or large pots filled with tasty plants. Make sure any garden is free of weeds. While more expensive, adding furniture arranged on a patio to showcase a potential outdoor lifestyle will appeal to buyers and enhance your yard. 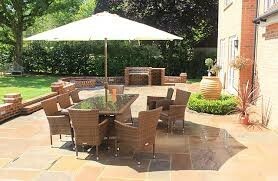 As the weather becomes warmer, home-owners naturally spend more time outside in their yard. Give them a reason to imagine themselves enjoying the summer in their new home. Most home buyers don’t want to see a lot of strenuous yard work ahead in their near future. Even if you don’t have the funds to spring for large outdoor upgrades, keeping the grass cut, weeds trimmed and trash picked up go miles toward making a positive impact.